Tongue Tie Lip Tie. 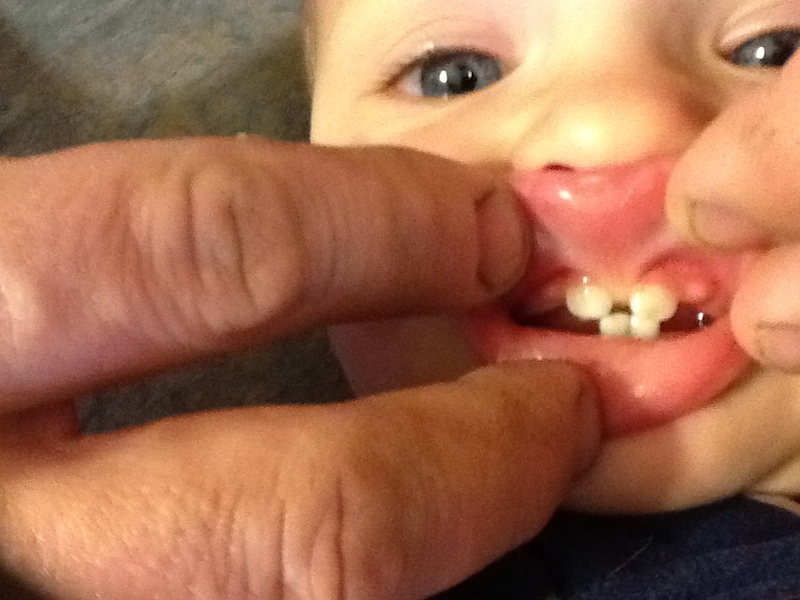 What you should know BEFORE you change your child's mouth anatomy forever. Although this procedure is necessary for severe ties these anatomy deformities are VERY rare and seldom do anything to prevent reflux symptoms. In general, over the past decade there has been a significant increase in interest regarding lip tie and/or tongue tie as it relates to quality of breast-feeding (both for the mother and the child). A review performed in 2015 by the AHRQ. Francis DO, Chinnadurai S, Morad A, et al. Treatments for ankyloglossia and ankyloglossia with concomitant lip‐tie. AHRQ Comparative Effectiveness Reviews. Report No. : 15‐EHC011‐EF. Rockville, MD: Agency for Healthcare Research and Quality; 2015. There are some tongue tie surgery indications. This is true. Tongue-tie, or ankyloglossia, is a condition whereby the lingual frenulum attaches near the tip of the tongue and may be short, tight and thick. Tongue-tie is present in 4% to 11% of newborns. In severe cases the baby will suction more air than milk or formula and cause a distended belly. As shown here. 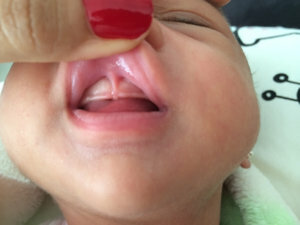 But it's important to keep in mind that less than five percent of babies born have either lip or tongue ties that will indicate revision surgery. 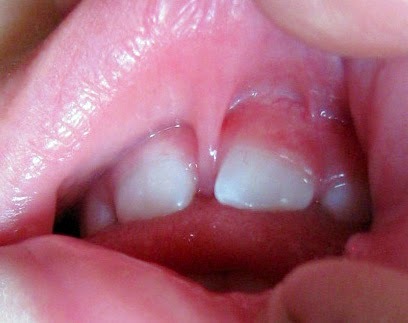 Abnormalities of the labial frenula (Lip-tie) occurring in both the upper and lower lips may be an indication as well. Some believe that a tight upper lip tie can adversely affect breastfeeding in a manner similar to ankyloglossia (tongue-tie). However, there is little objective evidence to support the association of upper lip tie and breastfeeding difficulties. In other words; Surgery indications are less true for upper lip tie as an indication for treatment of proper latching and for symptoms of baby reflux. Serious consideration should be taken before seeking lip tongue tie lip tie revision surgery. This procedure is not reversible and alter your child's mouth anatomy permanently. Less permanent approaches to treatment can include the use of H2 Blockers and/or Proton Pump Inhibitors which, if used properly and under the supervision of a qualified medial practitioner that specializes in baby reflux, can control the acid production and keep your child out of pain, for the short time that your child will need treatment and then weaned off medications with no permanent conditions. PLEASE REQUEST WRITTEN PERMISSION FOR USE OF ANY CONTENT ON THIS SITE. The information on this website has not been evaluated by the Food & Drug Administration or any other medical body. We do not aim to diagnose, treat, cure or prevent any illness or disease. Information is shared for educational purposes only. You must consult your doctor before acting on any content on this website.